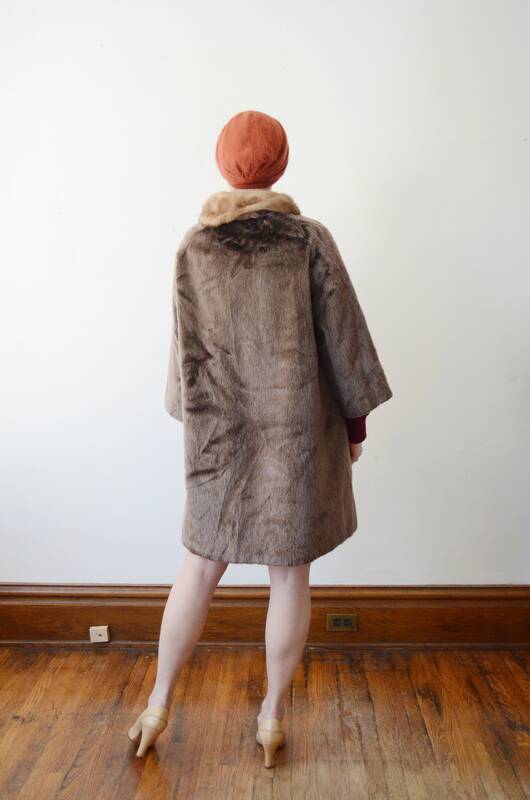 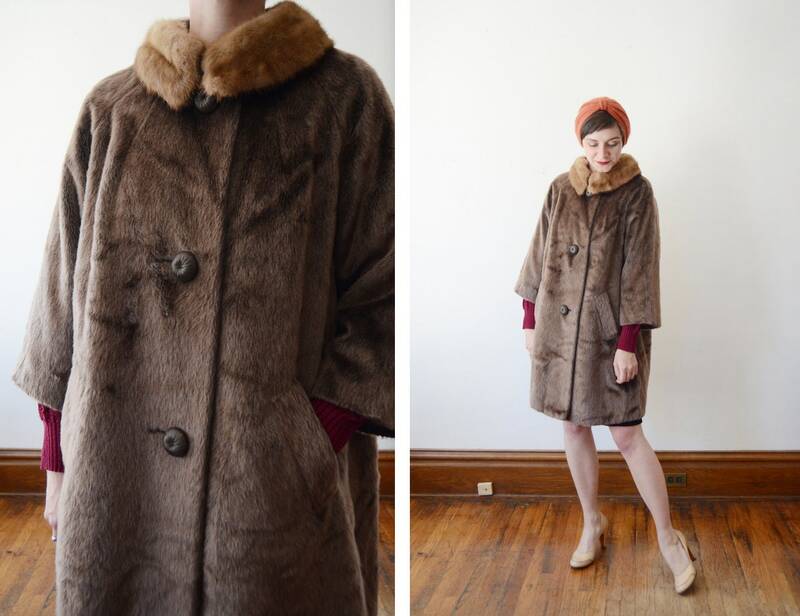 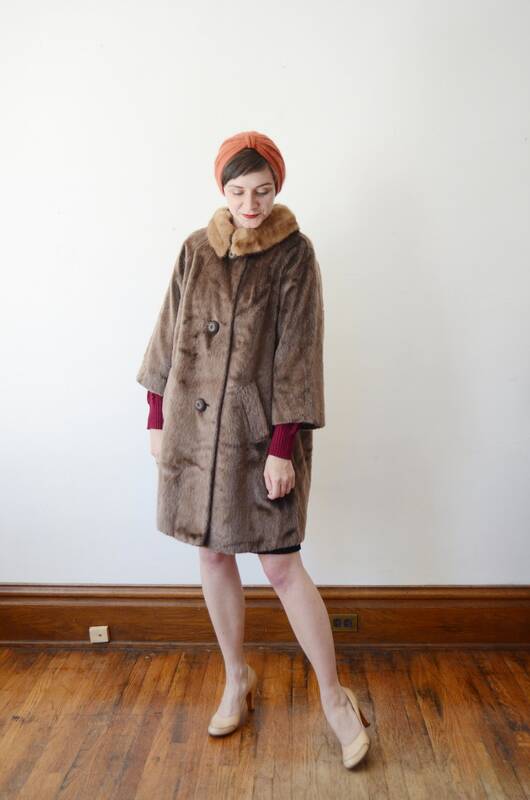 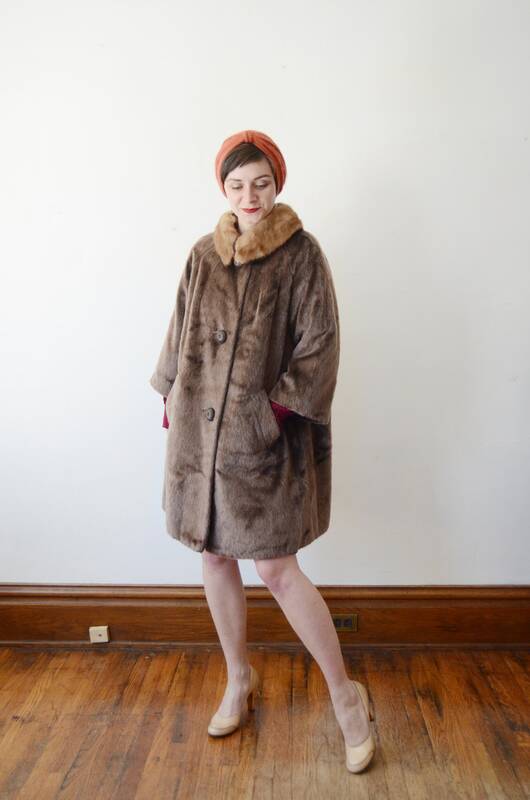 Description: A faux fur jacket with 3/4 sleeves, two front pockets, and big buttons up the front. 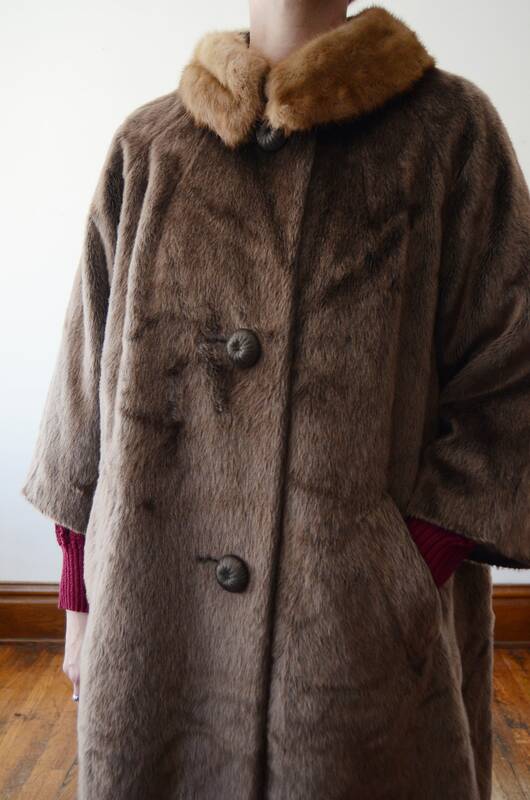 Lined, with a real mink collar. 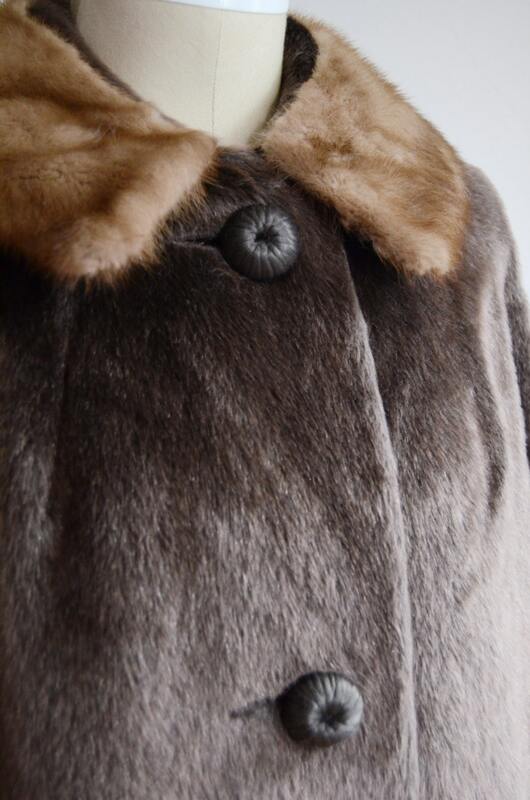 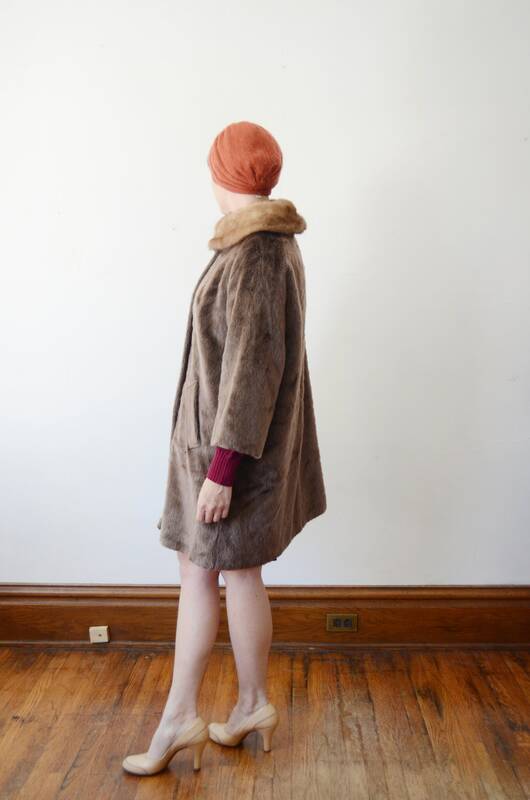 Fabric: A pile fabric with a real mink collar.